Description: TSAL040 - Perched Eagle Lawn Statuary - If you are looking for a great sculpture for home and are second guessing on buying a few animal statues, don’t worry, here comes the Perched Eagle for you. 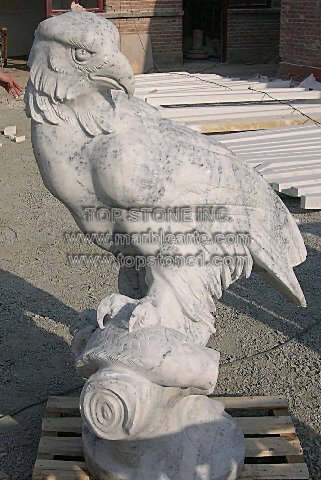 Hoisted as one of the regal marble statues Houston, these marble eagle statues, with its hand carved marble designs are sure to make the perfect sculpture for your living space. You can take a look at these fine marble pieces at your nearest marble art gallery. You will not regret buying these unique garden statues that can be set up as a lawn statuary or at a building entry.